The cities of Rockport and Corpus Christi have activated Stage II of the Drought Contingency Plan. In Stage II, homeowners can use sprinklers to water their landscapes only one day per week, and on that day only in the early morning or evening. The fine for using a sprinkler outside of the designated time is $500 per citation. But there are no restrictions to watering your landscape with drip irrigation. Drip irrigation is not the same as soaker hoses, which are shoddy and unreliable. Drip irrigation applies water in a slow controlled flow through evenly spaced holes along each line. The water saturates the soil at the base of the plants with minimal loss to evaporation. Drip irrigation is the ideal method for watering your landscape. Plants prefer drip irrigation to everything except a good old-fashioned rain. It only takes about an hour for drip lines to deeply water the roots of plants–vegetables, flowers, and trees–and you can even water turf grass with durable drip lines buried discreetly beneath the soil. Drip irrigation is inexpensive and easy to install. The lines last for years, and you can tailor your system to your own unique landscape to maximize the efficiency of your water use. We use Irrigation Mart for our irrigation materials, and they are excellent at helping assess your needs and fit the right product to your situation, but there are many good companies who supply this material. Drip irrigation was pioneered on the kibbutz farms of Israel in the late 20th Century. Israel, a tiny state in the desert, possessed limited land and water resources for agriculture, and Israel was surrounded by enemies and locked in a life-or-death struggle for national survival. 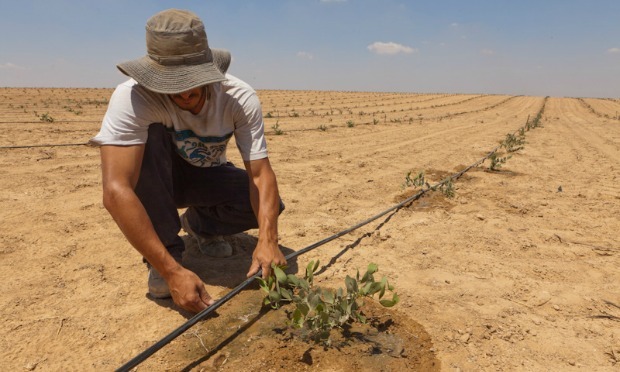 Israeli farmers were forced to innovate–to get the most from every drop of water. Drip lines helped transform the barren landscape of Israel into a food oasis, and Israel became agriculturally self-sufficient. In South Texas, we must also make the most of every drop of water. Stage II drought restrictions are meant to cut water use by ten percent. On our farm, we have reduced our own water needs by 50 to 80 percent through drip irrigation, native mulching, and improved soil health. The potential for water conservation through these methods is enormous. 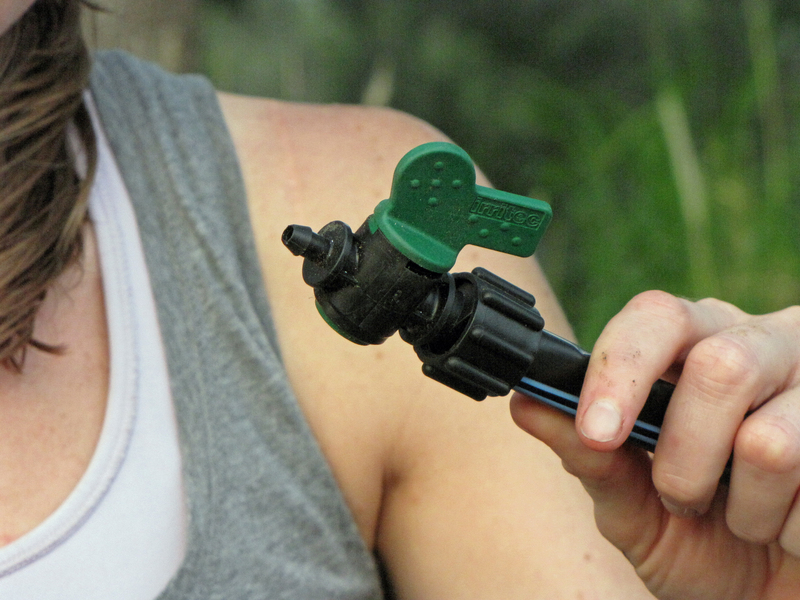 If the drought continues, as it most surely will, sprinkler watering will soon be even further restricted. Drought has become the new normal in South Texas, and drip irrigation is the likely future of our lawns and gardens. « Join Me for a Live Radio Broadcast today at 12:15pm!